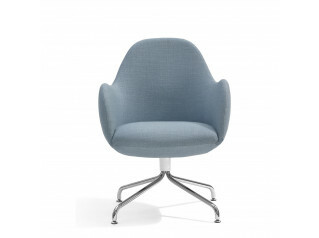 Wilmer T Armchair O56T is a multi-functional easy-chair for the modern office environment or home. 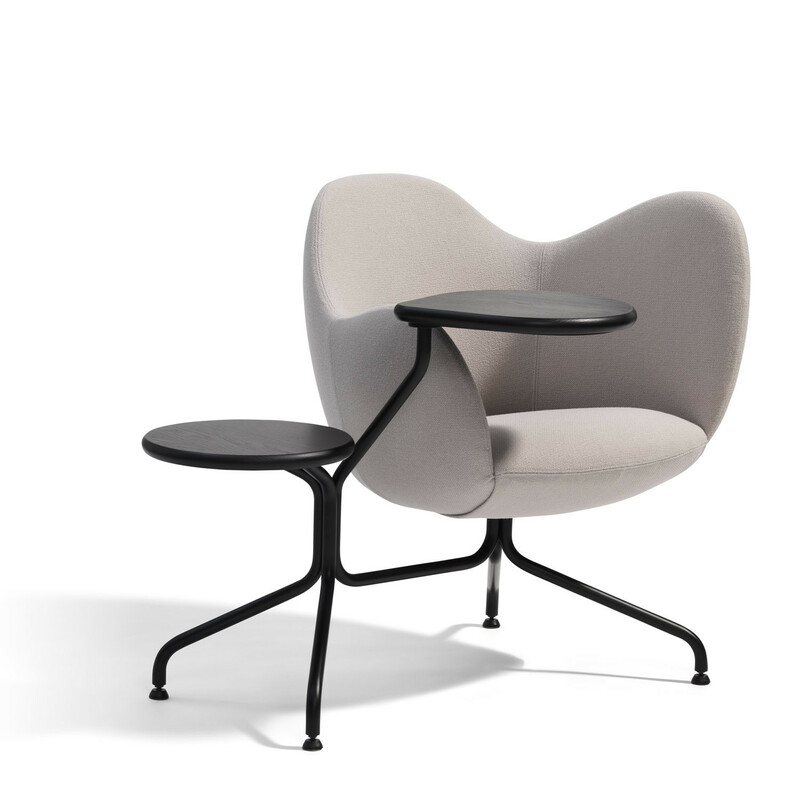 Wilmer T Chair and Tables innovatively combines a comfortable upholstered armchair on a frame with a low side table and laptop worktop table. 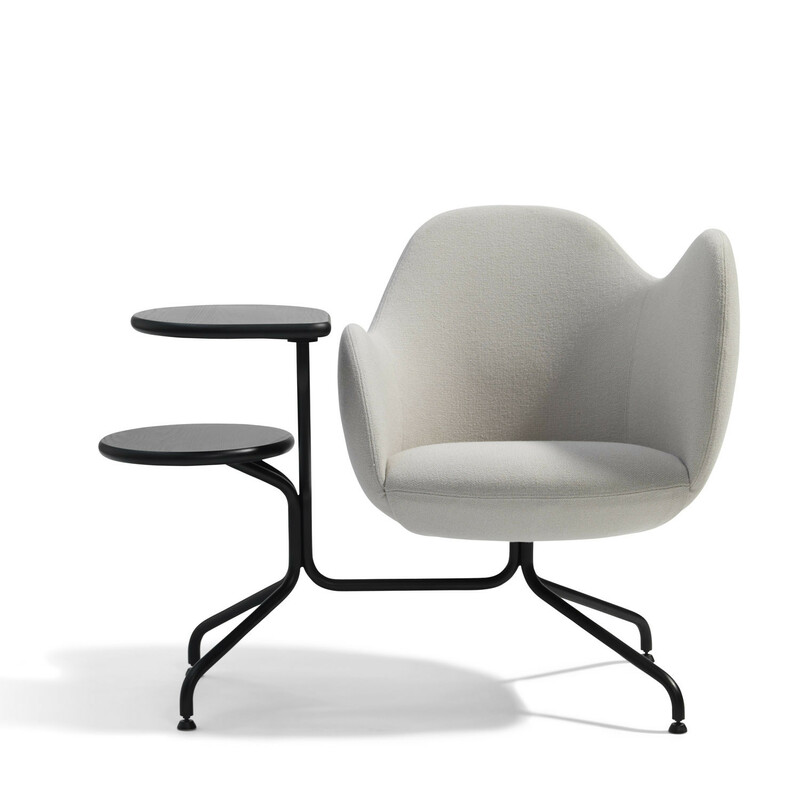 Wilmer T Armchair O56 erases the difference between past, present and future, work and play making multi tasking the order of the day. 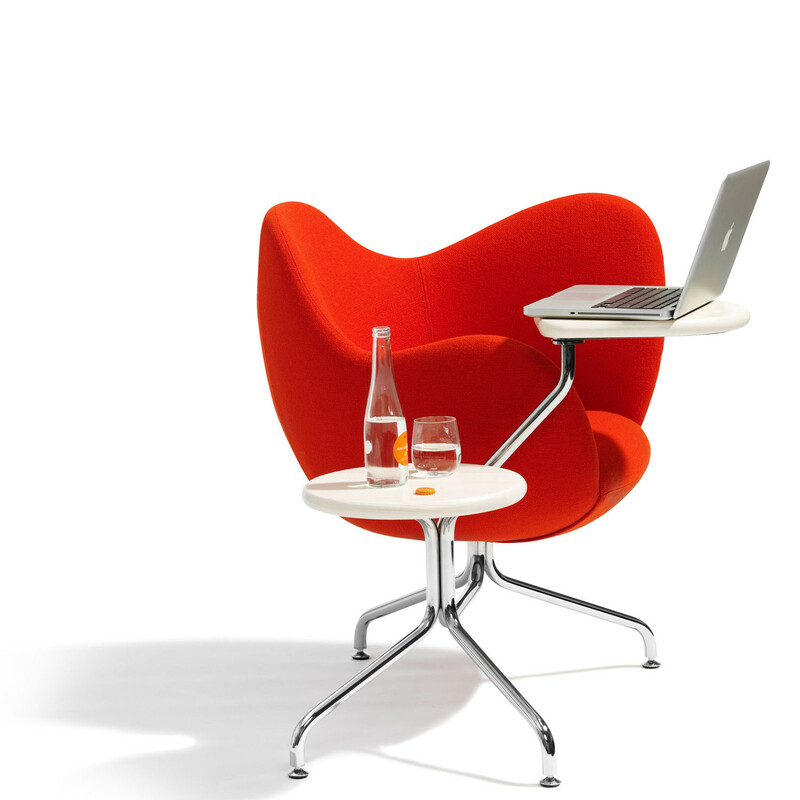 Ideal for use in corporate lounges, waiting rooms, conferences, airports or training rooms. 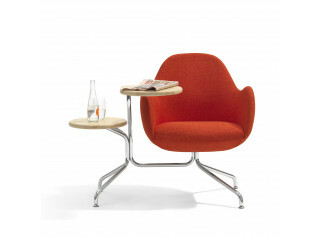 Stefan Borselius designed the Wilmer T Easy Chair, a soft seating solution with soft lines and high functionality. Frame of Green chrome (chrome III) or black lacquered steel. 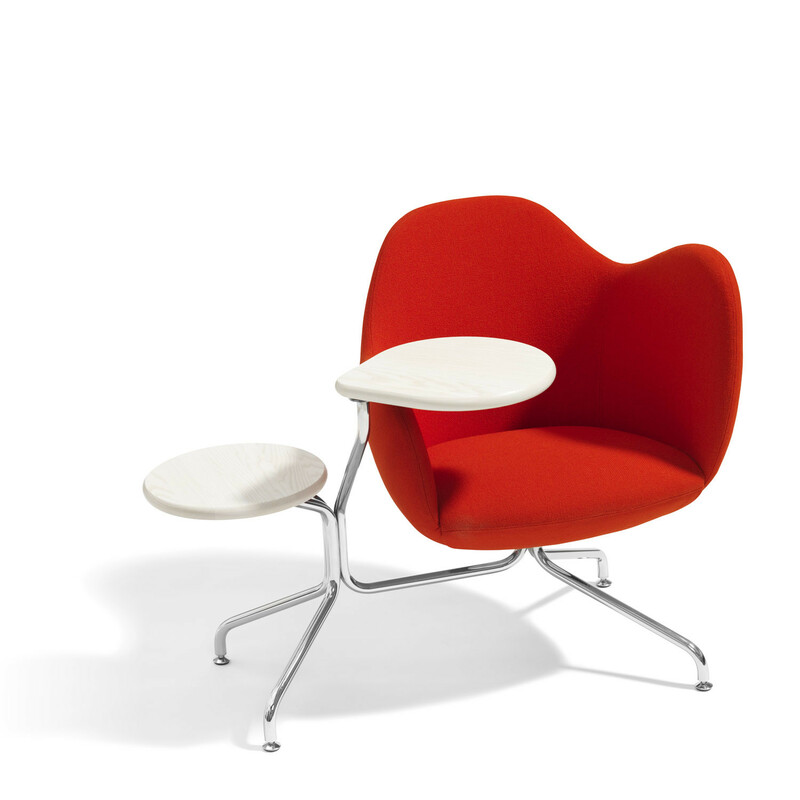 Seat and back of moulded polyurethane foam. Frame of chromed steel. Seat and back of moulded polyurethane foam. Fabric or leather covers. Green chrome (chrome III). Standard design Chromed steel. Seat and back covers as per fabric list. Chromed under frame. Green chrome (chrome III). 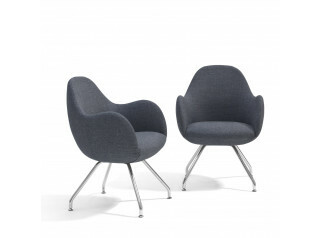 You are requesting a price for the "Wilmer T Armchair O56T"
To create a new project and add "Wilmer T Armchair O56T" to it please click the button below. 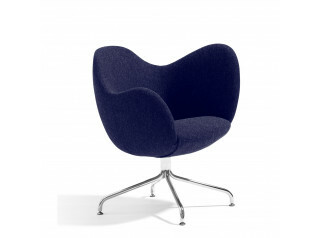 To add "Wilmer T Armchair O56T" to an existing project please select below.